There is a distinct opportunity for the FE sector to lead the change in delivering truly inspirational learning and training using present-day technology. Machine learning, or artificial intelligence, moves the boundary into a domain where computers learn, adapt and change in response to the way a learner is responding. Better yet, the computers don’t get bored, they don’t have favourite times and they don’t mind repetition. When this technology is coupled with an immersive or virtual reality environment, we can create training that works well in the technical and vocational sphere. It collects analytics to enable the trainee and the trainer to see which elements of a routine – for example, changing a part on a machine – are taking longer than they should or which routine – such as dealing with an elderly person in a health and social care setting – is performed hesitantly. The possibilities are limitless. 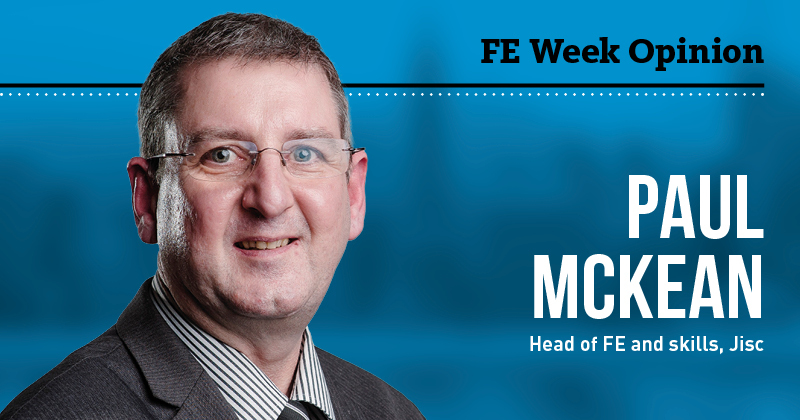 READ MORE: How will EdTech shape the FE sector? The time is now, and technical and vocational education has the right mix of expertise and skill to make use of technology to advance its approach and deliver amazing training. At Central Bedfordshire College, we have been experimenting for the last 12 months in partnership with a leading global technology company, and this week we launched an immersive training initiative. We are happy to share our experience and findings with colleagues across the sector. Noting that most of our learners are more technology-savvy than us, we are moving the learning and training into a domain that is even less familiar to many of us than to our learners – even though it might mean we have catching up to do. Many business leaders tell me that they have two main concerns: the availability of skilled people to take jobs, and trainees who arrive at a business with the right mix of social and work ethics in addition to their technical abilities. Using the AI-VR will allow colleges to work creatively with teachers, trainers and lecturers to reimagine and reconfigure their teaching approach, and hence the time they spend with learners on developing the kind of traits and skills that machines can’t teach. Staff have so much more to give to their learners than the technical elements – some of which will still need to be trained by a human. For example, the nuances of a specific industry, how to approach a certain situation, how to deal with colleagues, how to respond to a manager… the list is endless. FE can and should lead the way in reconfiguring the role of the teacher/trainer, to focus on what needs to be done by a human. We have the trainer expertise (central to AI), we have the links with employers, we understand the employment market well, we understand qualifications and the accreditation process, and we understand the communities we serve like no other to make a success of this development. One note of caution: this is not a cost-reduction proposition. This proposition is to enable UK TVET to achieve two things: deliver truly inspiring and engaging world-class training and secondly, and arguably more importantly, enable teachers to spend more time developing citizens, socialising learning and enhancing the communities we serve. AI-VR has the potential to enable colleges to improve without increasing the cost of running their operations. Policy makers must trust and back the sector to lead the AI-VR revolution into TVET. The TVET sector should embrace this agenda and not to wait to be told what to do. Ofsted needs to start thinking about how to adapt its inspection model to fit with the new world of TVET. Awarding organisations should embrace change and focus on what matters to our economy.